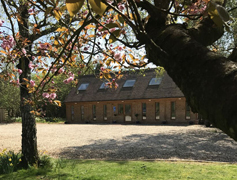 Our aim is to offer your cats with a routine close to home whilst they are in our care, to ensure they remain happy and content. 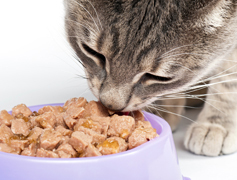 We have a wide variety of food available and are normally able to feed your cat their regular diet. If your cat is fed a special diet, then we would kindly ask you to provide enough for their stay. Fresh water is available at all times. Cats are fed twice a day, but we are happy to adapt to cater to individuals who may need or be used to feeding more frequently. Comfy beds and blankets are provided, but you are welcome to bring your cats own bed if you prefer so they have something familiar from home. For enrichment and stimulation, each suite has toys and scratch posts for exercise and play. 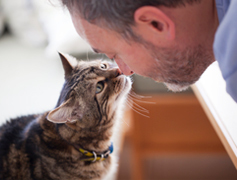 Your cat will also receive regular cuddles and grooming during their stay, if they like it of course! 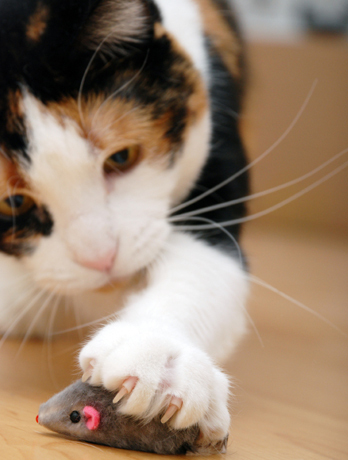 We are happy and experienced in administering medication to your cat should it be required, at no additional cost. Veterinary care and support will be provided if your cat was to fall unwell during their stay with us, where possible we will take your cat to their normal vet. We are fully insured with Petplan Sanctuary.